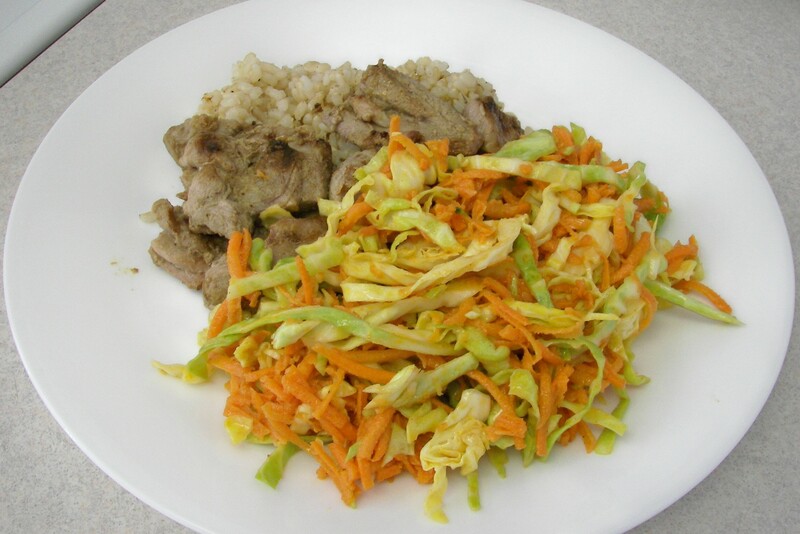 This tasty meal is super easy to make, perfect for a busy workday. It’s adapted from a recipe I found on one of my favorite food blogs, The Kitchn. Rub the trimmed pork shoulder all over with salt and fresh cracked black pepper. Put in the slow cooker. Add the smashed garlic cloves, tucking them around the pork. Peel and grate the ginger and put it in too. Pour the hoisin sauce over everything. Cover and cook on low for about 10 hours or overnight. When finished and tender, use two large forks to shred the meat and mix it with the sauce. 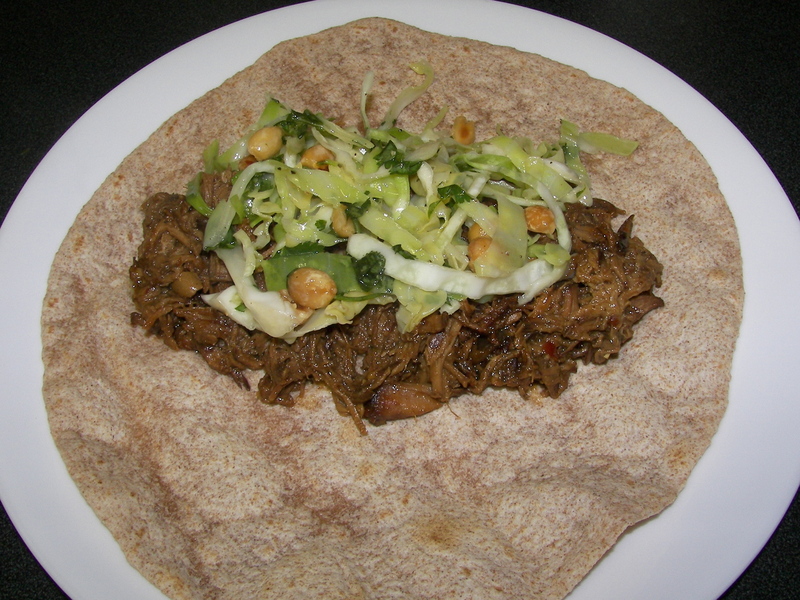 Serve with warm whole wheat tortillas, peanut slaw (recipe below) and plenty of chili garlic sauce. Shred the cabbage very finely. Toss with the peanuts in a large bowl. 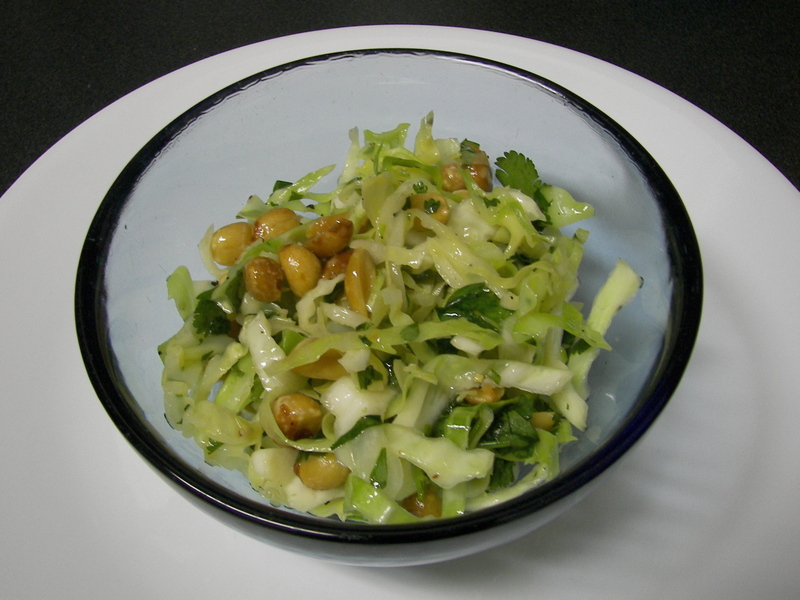 Toss the chopped cilantro with the cabbage, seasoning very lightly with salt and pepper. Another wonderful meal, thanks to The Whole Life Nutrition cookbook. All 3 recipes came from this cookbook. I’m always looking for new ways to cook the gluten-free grains, and I have to be honest, millet isn’t exactly my favorite. These patties were really good though! The BBQ Navy Beans, super yummy! Spicy with a little sweetness, really good, so yes you MUST buy the cookbook, because, again, I’m not putting the recipe here. I have made the cabbage salad before. 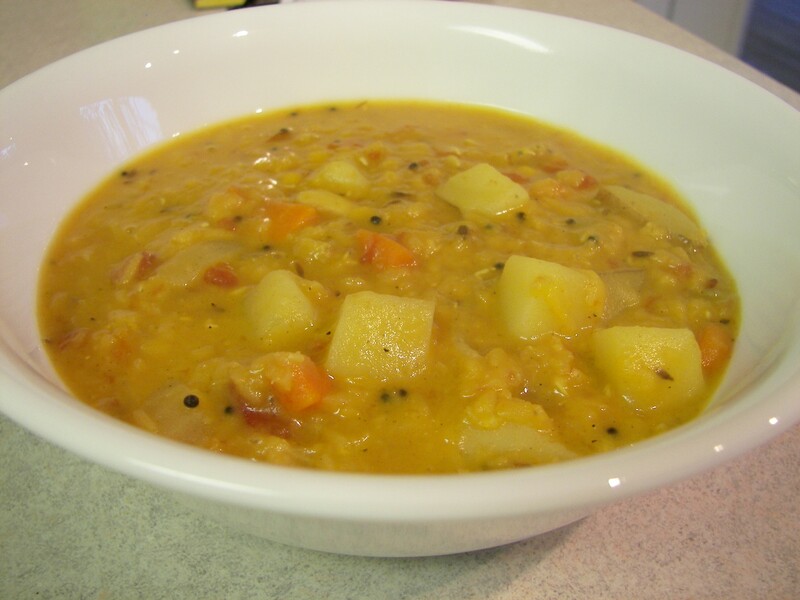 This soup was great, it has a perfect balance of spices, the cabbage salad works well with the dal. 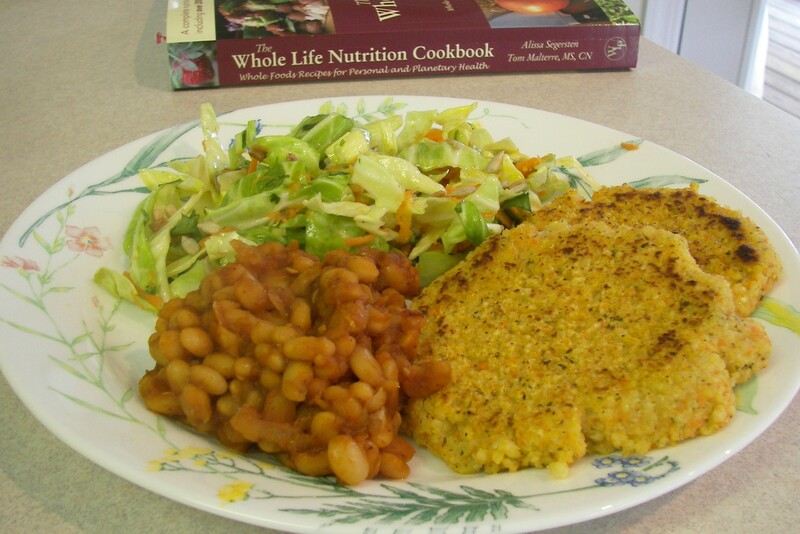 Both recipes are (adapted) from The Whole Life Nutrition Cookbook. In a large stock pot heat the oil over medium heat and add the cumin and mustard seeds. Saute until they begin to pop. Quickly add the onions and garlic and saute until soft. Add the turmeric, cumin, cayenne, carrots and potatoes and saute a few minutes. Add the lentils, water, coconut milk and tomatoes. Stir well and bring to a boil. Simmer, covered, for about 45 minutes. Add salt to taste. Combine the cabbage and cilantro in a large bowl. 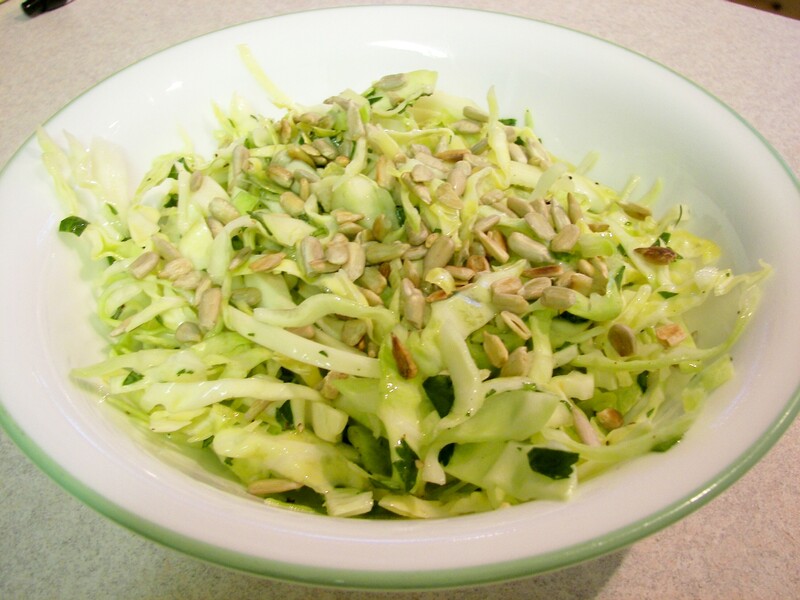 Whisk together the oil and vinegar and pour over cabbage, mix well and season with salt and pepper, top with toasted sunflower seeds. I love rice noodles, and anything with coconut milk in it, so this recipe seemed like a no brainer. It was good, but I think next time I will add more ginger, and more curry paste. This is adapted from a Cooking Light recipe. Cook rice noodles according to package. Combine coconut milk, sugar, soy sauce, ginger, garlic, curry paste, and salt in a small bowl. Sauté tofu over medium-high heat until golden brown. Remove tofu from pan; keep warm. Add cabbage; sauté until wilted, about 8 minutes. 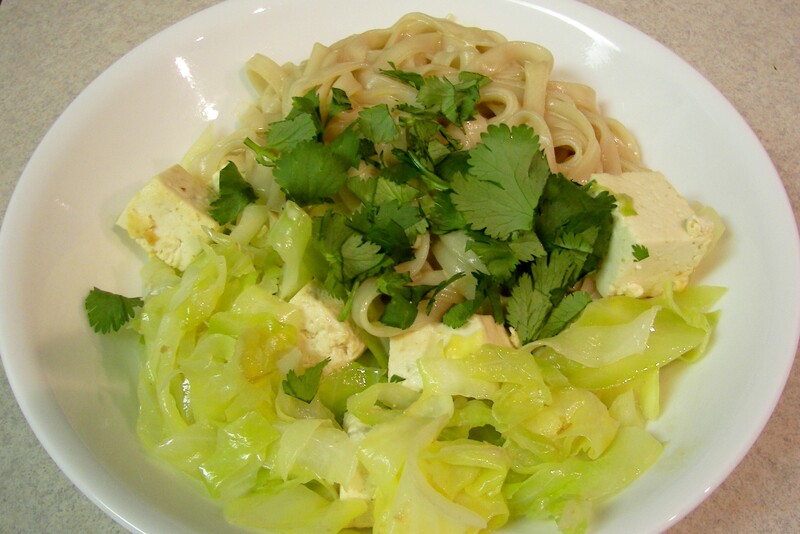 Stir in noodles, coconut milk mixture, and tofu; cook 2 minutes or until noodles are tender. Stir in green onions and cilantro. Oh my!!! These are so good! These were great and very easy to make! Thanks so much Martha! 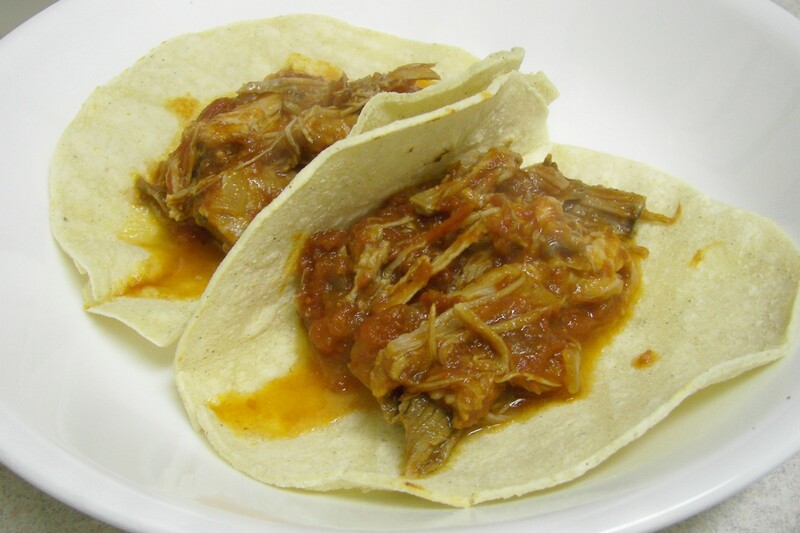 In slow cooker, combine onion, oregano, bay leaves, chipotle, adobo sauce, tomatoes, salt, and pepper. Add pork; toss to coat with sauce. Cover; cook on high setting until meat is pull-apart tender, about 6 hours (do not uncover while cooking). Transfer meat to a large bowl; shred with forks, discarding any gristle. Return meat to pot; toss with sauce. Discard bay leaves. I served these with warm corn tortillas. In a large bowl, whisk together mayonnaise, vinegar, lime juice, and sugar; season generously with salt and pepper. 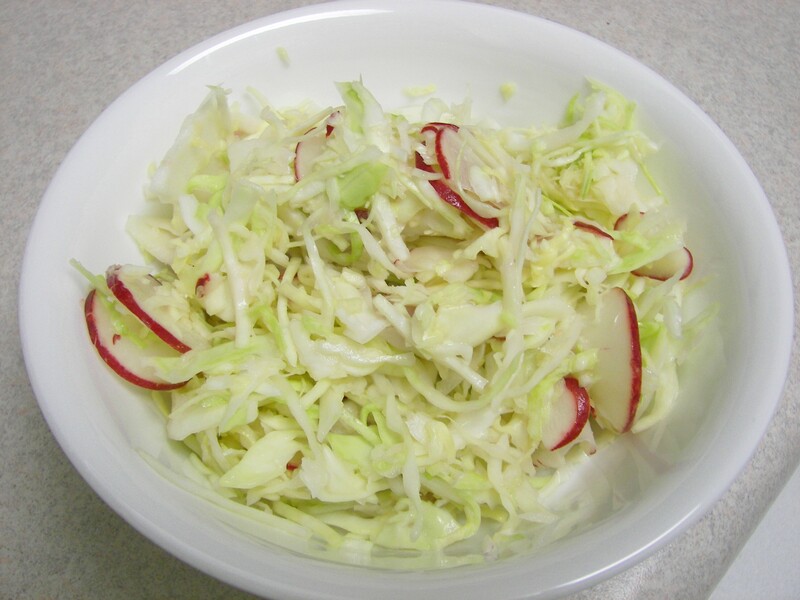 Add cabbage and radishes; toss to coat. Cover and refrigerate, at least 1 hour and up to 1 day.